The final game is actually a final. There is no other way to describe what is the most important Premier League fixture Liverpool have contested since challenging for the title in April 2014. This is a huge moment for my old club. 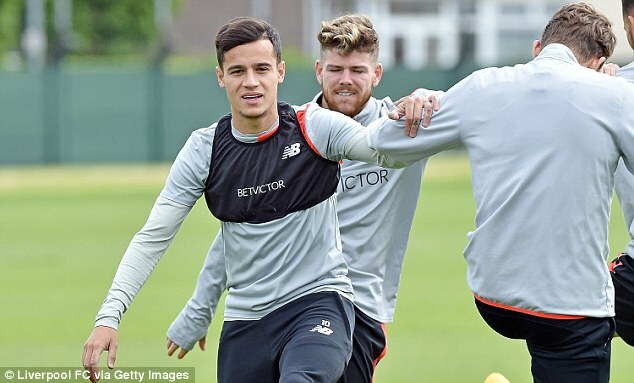 Liverpool have only been in the Champions League once since 2009 and that particular campaign passed in a flash, with just six group games and one solitary victory against the Bulgarian team Ludogorets. There was a point before then when we took Champions League qualification for granted. During Rafa Benitez’s spell as manager, we would return to pre-season training confident that, even if we endured a bad run of results at some point, we would almost be guaranteed to finish in the top four. That is how it turned out. Every year, we were in there and every year we would go deep into the best competition there is. 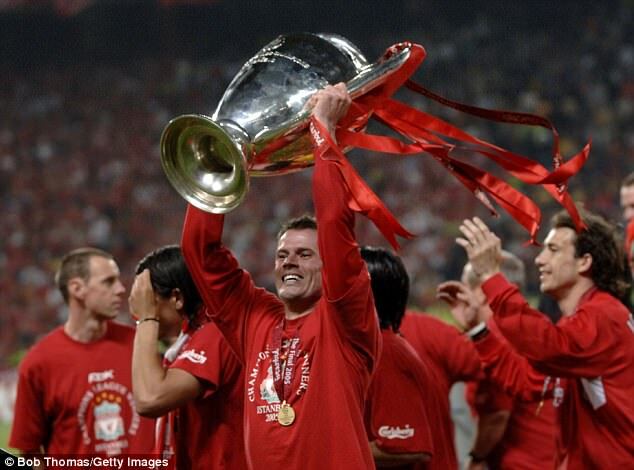 To give you context, Tuesday marks the 10th anniversary since Liverpool played AC Milan in Athens to try to win the Champions League. Now the landscape has changed dramatically. Manchester City, with almost a decade of investment from Sheik Mansour, are here. Tottenham have finally become the club they should be and have reached the level of Manchester United, Arsenal and Chelsea. Six doesn’t go into four, so part of me wonders if Liverpool fluff their lines against Middlesbrough, when the next chance will come. I don’t want this to come across as me being pessimistic. I’m just trying to be realistic. If Liverpool cannot finish in the top four after a season without any European commitments and all their rivals have had obstacles, will they be able to do it with a crammed schedule next year? At this stage, you couldn’t tip them to do so with any kind of certainty. I’d say the bookmakers will go along with that view and when the markets are formed for the next campaign, you will find Liverpool fifth, possibly sixth, in the betting to achieve that aim – as they did this season. It is why I’d see a top-four finish as being a very good season. 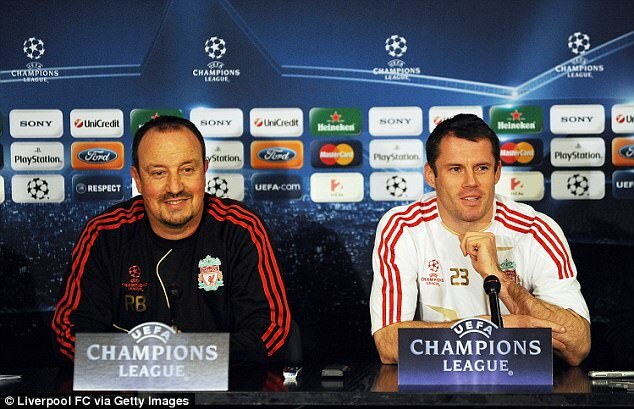 So you see what is at stake at Anfield on Sunday. Arsene Wenger used to get ridiculed for describing Champions League qualification as being like a trophy. I’ve never agreed with that but now, more than ever, you can see what he means with those sentiments. Since 2007, seven managers have been sacked within months of winning one of the two domestic cups, with that number including Kenny Dalglish, Louis van Gaal and Jose Mourinho. Silverware, unfortunately, no longer provides security. Getting into the Champions League is now what it is all about for the elite clubs – especially their owners. Klopp knows this, as does everyone at Liverpool. They have 90 minutes to secure a path into a competition that will give them an opportunity to dramatically improve the club. A big summer, after all, beckons. Liverpool have been through several periods of change, with significant numbers coming and going, but if they retain the place in the top four they have held since last September, it has to be the point where they capitalise. They have to go for it. Both the Manchester clubs are going to spend another £150million-plus to improve on their efforts of the past 12 months, while Chelsea and Spurs, who are both a level above Liverpool at present, will not stand still. Klopp’s idea at the beginning of the campaign was to go with a small squad because of the lack of games and it explains why he ended last summer’s window with a positive net spend. It was a risk – so was not signing anyone in January – but it looks like it may just pay off. Part of the reason is the fact that three of his four big signings integrated quickly. Sadio Mane was superb before injury intervened, while Gini Wijnaldum and Joel Matip have both been very good. 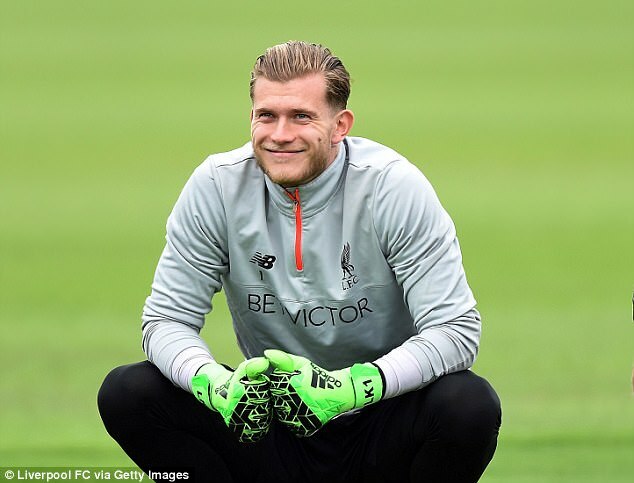 Loris Karius, the goalkeeper, is the only one with questions to answer but he has time on his side. 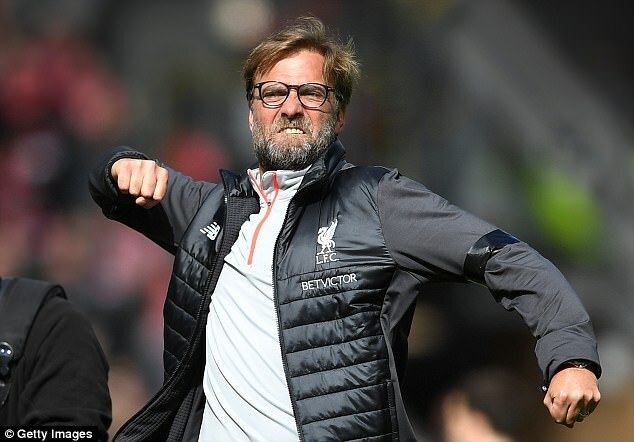 For the progress of the last 12 months to continue at the pace Klopp wants, another window like that is required – where his preferred targets come in and make a difference – but to get the players who will do that, they need to be in the top four. Once again, you see what is riding on the final day. I’ve been in the position where Liverpool needed to win on the last day to reach the Champions League. In May 2000, we needed to beat Bradford, who were fighting to avoid relegation, at Valley Parade but lost an awful game 1-0. Three years later, we had a shootout with Chelsea at Stamford Bridge but despite taking the lead through Sami Hyypia’s early goal, we were beaten 2-1. The spin-off for Chelsea for that victory was the fact Roman Abramovich bought them a couple of months later. The appeal of the Champions League was not as big then as it is now but I still remember feeling empty after both those defeats, frustrated that we had missed an opportunity and I would hate for this current squad to return to the dressing room having fallen short on Sunday. Liverpool do, though, have form of winning on the final day to get into the big time and we held our nerve at the Valley against Charlton in May 2001 to put the gloss on a season when we won three cups and then qualified ahead of Leeds for the Champions League. Gerard Houllier had drummed it into us before that match about the possibilities that lay in front of us if we could take on Europe’s elite and he was as delighted that we achieved the objective as with any of the cups we collected. The trophies were our top priority. Houllier’s was qualification. Nothing can beat silverware, as far as I am concerned, but the game has altered to such an extent that it now opens up different avenues and possibilities. Klopp, undoubtedly, will spell that message out to this squad. They must win this final. Nothing made me happier than to see Dirk end his career in the most unbelievable fashion. Winning the title with his boyhood club Feyenoord was one thing but to clinch the trophy for the first time since 1999 by scoring a hat-trick was a dream come true. He has been inundated with good wishes from his old team-mates on social media and all of the messages are genuine. Dirk was the perfect team-mate. He was a great lad in the dressing room but, above all, when there was a big game, you could set your clock by him. Sometimes you could see him in training and think there wasn’t much there but the bigger the game, the better he was. He always raised his levels when it mattered most and it is no coincidence he scored in a Champions League final and played in a World Cup final for Holland. I’ve seen it said Dirk is proof of what you can achieve with hard work but hard work means nothing by itself. What sets those at the top apart is the mentality, the willingness to go in every day and push yourself to the absolute maximum. He did that and more. 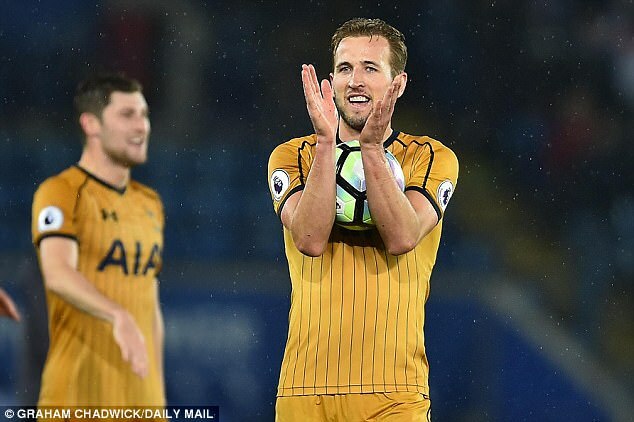 Harry Kane would have left Leicester bouncing and rightly so after scoring four goals to put one hand on the Golden Boot. He now has a two-goal lead over Everton striker Romelu Lukaku who will have had sleepless nights since Kane’s masterclass at the King Power Stadium. At one stage, it seemed as if Lukaku had the award sewn up. I’m pretty sure the team talks Mauricio Pochettino and Ronald Koeman give at Hull and Arsenal on Sunday will have an emphasis on the Golden Boot and the message to the other players will be: if we can, let’s get this prize for our man. 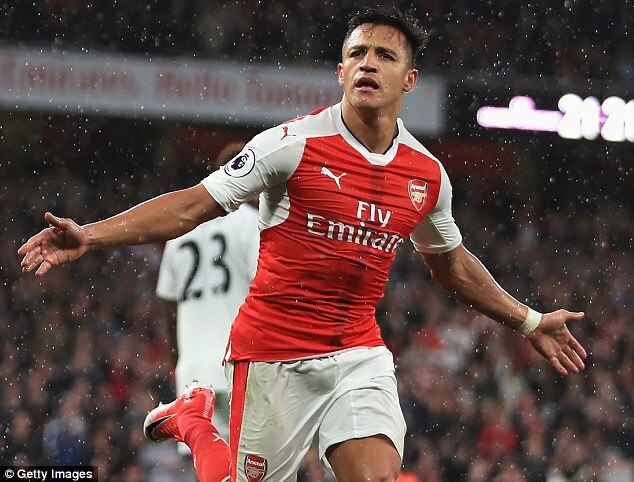 Alexis Sanchez still has an opportunity to trump them both, but Arsenal’s priorities, with the faint possibility of qualifying for the Champions League, are different. Kane and Lukaku can simply go for goals. Kane had eight attempts at goal against Leicester and I’d expect he will have a similar number at the KCOM Stadium. It will be difficult for Lukaku to match that but he will be just as single-minded. This trophy matters enormously to strikers. If you look back through the record books, you will see many forwards who won this prize on a number of occasions, but never had the same success in terms of winning cups for their team. I honestly don’t think they would swap them. Luis Suarez provided a good example in Barcelona last year. He was in a hot spell but was more intent on speaking to me about his team-mates. I then asked him how many goals he’d scored that season and he answered in a flash before I’d finished my question. That’s why when I hear strikers say it’s about the team, as Kane did at Leicester, I immediately shout ‘liar’!